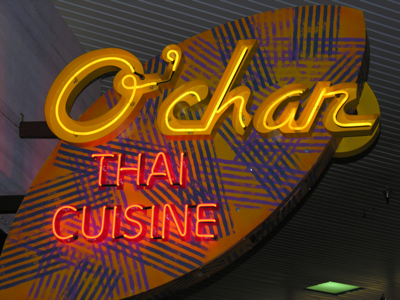 O'Char means delicious in Thai. We are committed to live up to our name. Come experience lunch or dinner out with your family and friends at one of our three fine Eastside locations. Serving the greater Eastside for over 10 years. We are pleased to serve off our menu some of Thailand's most popular dishes. Carryout is available at all O'Char restaurant locations. Just click on the above tab for your nearest location and for more restaurant information.